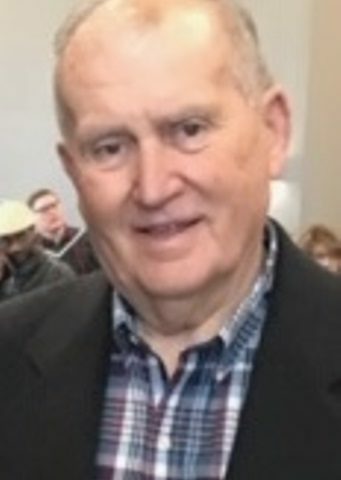 Andrew John Zipfel, 77, passed away on Saturday, April 13, 2019. He was born on September 6, 1941 in Atlantic City, NJ to Jacob and Emily Zipfel. He is also preceded in death by his brother, Ronald Zipfel. Andrew loved his family, especially his grandkids. He had a Master’s Degree and taught Science for over 35 years. He enjoyed traveling, gardening, woodworking, and antiques. He also owned a roofing business with his brother, Ronald. He was also a great story teller. He was truly an amazing husband, father, grandfather, and friend who will be missed. Andrew is survived by his loving wife of almost 55 years, Mrs. Kathleen Zipfel; two children, Stacey (Kirby) Gilreath, and Eric Zipfel; three grandchildren, Andrew Zipfel, Zoey Vargas, and Brittany Monaghan; and one great grandchild, Andrew Zipfel, Jr.
Hendersonville Memory Gardens, Funeral Home, and Cremation Center are in charge of arrangements. 353 East Main Street; Hendersonville, TN 37075. Stacey, Eric, and Mrs Zipfel… I am so sorry for your loss. May your memories of happy times sustain you! Thank you for all the great things you had done over the years. My heart is so sad for the people who were so close to him. May you go swiftly in to the arms of the lord. Such a great guy… and teacher. My Prayers go out to the Zipfel family. Family. A great man! God bless. Mr Zipfel was a great teacher who was always there for his students. The Conover family sends its deepest condolences to the Ziipfel family. Mr Zipfel played a major part in my life to pursue college in the field of meteorology. Enough can not be said about the amazing man. Love, is the only word to describe. He was an amazing uncle and person and will be missed. I remember how dedicated he was to his students!